The small acquisition was mentioned on a company blog post published yesterday, although the announcement was pretty scarce on details. The blog post only reveals that Etsy gained five coders with “deep technical expertise in algorithmic search, machine learning and data interpretation, and advertising infrastructure” thanks to the acquisition. It also mentioned that the five programmers would be working on improving Etsy’s search algorithms and expanding the company’s Showcase advertising system. 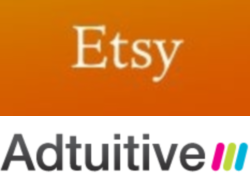 It’s been relatively quiet about Etsy the past few months. Our latest coverage of the four-year old company dates back to February 2009, when Michael Arrington interviewed Etsy co-founder Robert Kalin at the World Economic Forum in Davos. Back then, Kalin disclosed that $100 million worth of goods were sold on Etsy in 2008, and that the company was generating over $1 million/month in revenue.